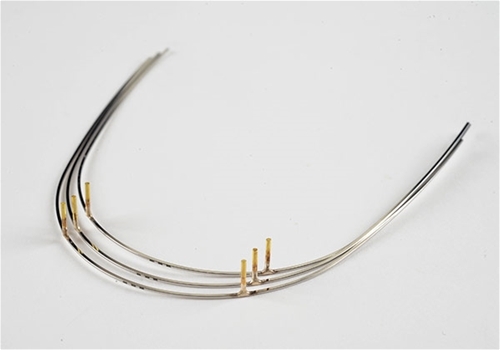 Our smooth, bright, hard 304 SS Brass Posted Archwire is premiere quality that your best smiles deserve. Close all cases with our Posted Arches or even better yet, use our Dual Dimension Tri-Sectional Arch. Hold an Orthodontic Smile strong during your final stages of treatment!